Columbia Pictures makes its choice for a new friendly neighborhood Spider-Man. The Spider-Man reboot was announced earlier this year after problems with the script got Spider-Man 4 cancelled. But a new movie meant a new hero, and speculation over who would play the titular web-slinger threw up all kinds of names, including some that you might never have considered, like Community actor Donald Glover. But Columbia Pictures put the speculation to rest today, by announcing British actor Andrew Garfield as the new Spider-Man. Garfield has appeared in Imaginarium of Doctor Parnassus, as well as a couple of episodes of Doctor Who. Director Marc Webb acknowledged that Garfield was a very new face, but said that there was nothing to worry about: "Though his name may be new to many, those who know this young actor's work understand his extraordinary talents," he said. "Mark my words, you will love Andrew Garfield as Peter Parker." Producer Avi Arad concurred with Webb, saying that Garfield was the perfect for the role. 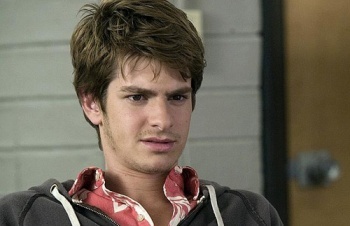 "I'm incredibly excited about Andrew Garfield. In the Spider-Man tradition, we were looking for a smart, sensitive, and cool new Peter Parker who can inspire us and make us laugh, cry, and cheer. We believe we have found the perfect choice to take on this role and lead us into the future." The casting of a relative unknown is heartening, as it suggests that acting ability was valued more highly than star power. We won't get to see how Garfield does until 2012, but it's going to be interesting to find out.